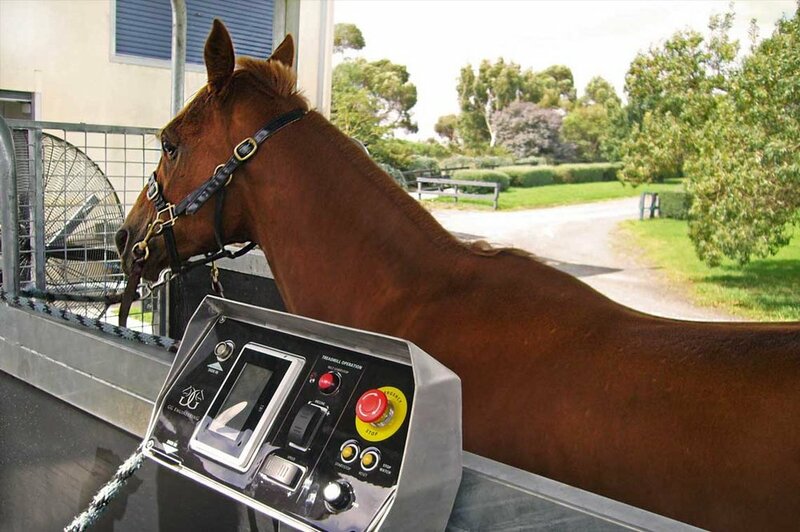 ECB Equine are the official agent for the GG treadmill in the UK. 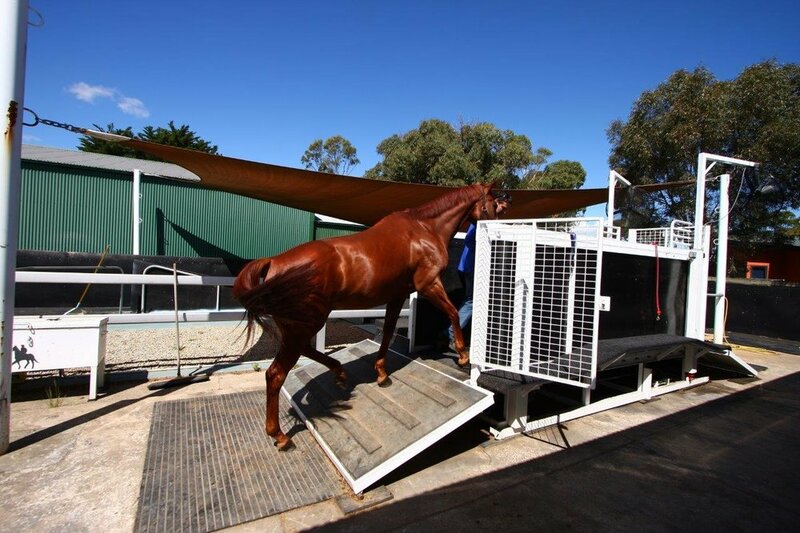 The GG high speed horse treadmill provides the ultimate training experience, operating at speeds of up to 42km/h and 6 degrees of incline. Our design team has been tirelessly refining the GG Treadmill™ for over 15 years to bring you the most robust, dependable and quietest high-speed treadmill on the market. Our proprietary cushioned bed design offers a low impact and comparatively quiet gallop. 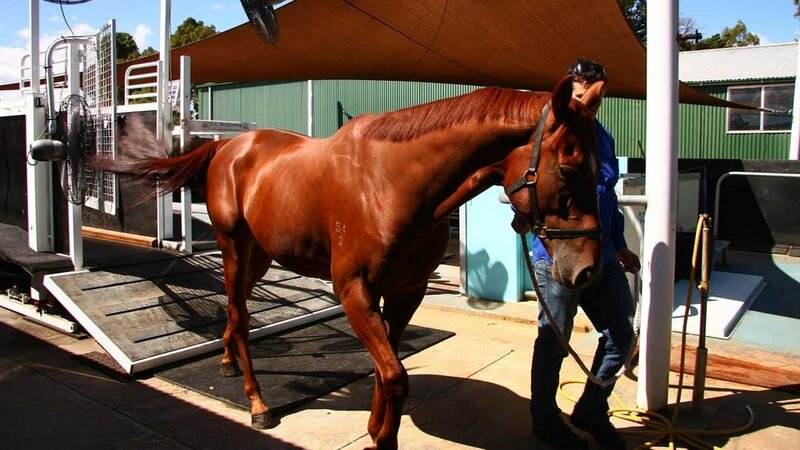 Our equine treadmill for sale also has over ten year’s field experience in the harshest training environments. When operating the treadmill, the control panel offers valuable information so that you can accurately track the workout of your equine athlete. The control terminal shows speed, incline, duration, distance travelled, as well as a stopwatch to time various parts of the workout. The GG Treadmill™ high speed horse treadmill comes with the backing of local support and a 1 year warranty that covers everything on the machine. We deliver and commission the machine (you will only need to provide power, a concrete base and unloading equipment).